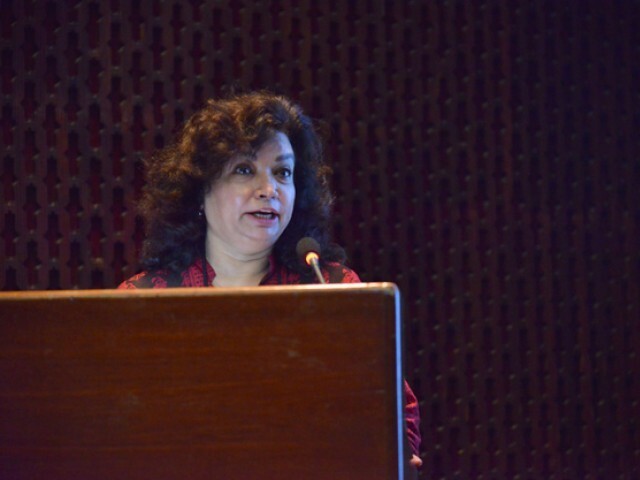 Asma Ibrahim, director of the Museum and Art Gallery Department, State Bank of Pakistan, gave a presentation on ‘Illicit Trade in Antiquities: The Tale of the Persian Mummy’ at the Aga Khan University this week. “The trafficking of culture goods is a growing problem,” Ibrahim said, citing numerous examples of thefts from museums, monuments, religious sites, other privately held places and public spaces. “There are four kinds of people who are involved – compulsive thieves, private collectors, art market people and scientists and academics,” Ibrahim said. Narrating the tale from 2000 when the story of relating to a Persian mummy appeared in the press, she said, “There was a Sardar in Balochistan who claimed he found it [the mummy]. However, looking at it made me realise that it was actually a fake.” With the support of British Broadcasting Corporation, she was able to have an autopsy done, which revealed that the human figure was actually a female who was ruthlessly murdered in 1996. This was only one sad tale of how people are being killed to be traded in Pakistan. This article was copied from the Express Tribune.